In the past, prototyping PCB design is an expensive activity as it seems no sense to pay hundreds of dollars to make several pieces of simple boards. However, today’s technology provides an option besides relying on heavy PCB fabrication machine to get your prototype done. Compact PCB prototyping machines are emerging in the industry and is a good choice to produce prototypes for your projects. 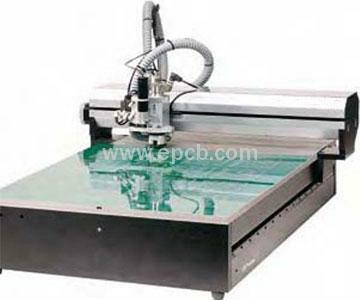 A good PCB prototyping machine absolutely can save you money and precious hours for designs. But before choosing your PCB prototype machine for your PCB board, here’s 4 important criteria worth considering. Precision-- While PCB prototyping machines are no replacement for factory grade machines, precision to a certain degree is a must to enable components to be placed accurately on the footprints. Reflow and solder mask-- Some PCB prototyping machines are able to inject solder mask accurately and perform reflow soldering, easily cutting off hours of populating the components in your prototype. Speed-- PCB prototyping machines need to operate at a reasonable speed to drill or etching off the copper material. User-friendly-- It means nothing if your PCB prototyping machine boasts the best specifications in the market but is difficult to operate. You’ll want to invest in one that has a user-friendly software and clear instructions.